I am really particular about potato salad. Growing up, there were only three people’s potato salad that I would eat, and they are all related to me. My mom, my Aunt Frankie and my Aunt Lorraine. Each potato salad was different and unique, but they ALWAYS tasted delicious. 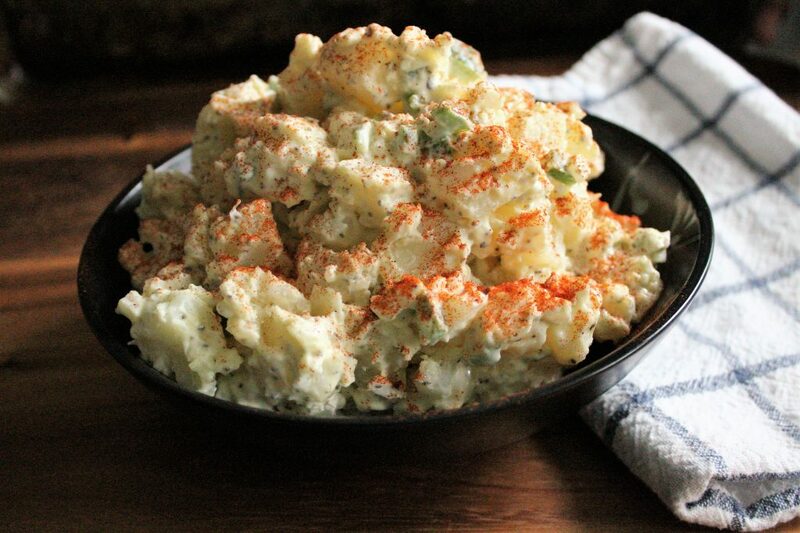 These ladies make awesome potato salad with great flavor and perfect texture. No bland, overcooked potatoes allowed. I was over 30 before I had potato salad worthy of consideration on my exclusive potato salad list. Before then I just didn’t eat potato salad. Bad potato salad stays with you. And not in a good way. So I avoided it. That was until I figured out the secret to good potato salad. Of course my mom and aunts didn’t have recipes. They just knew how to make potato salad. I didn’t have the gift. It must have skipped a generation. But I did have recipe developer skills. I drew from what I liked about each family member’s salad and came up with a pretty good version of my own. 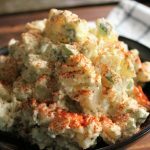 Potato salad is the king of summer salads, and it’s the perfect side dish to kick off grilling season. And a good potato salad doesn’t require a bunch of different ingredients crowded in it to make it taste delicious. The key to good old-fashioned potato salad is to keep it simple. Don’t overcook the potatoes, use quality mayonnaise and just a touch of yellow mustard. It took a lot of trial and error, but I finally came up with a recipe that I ate straight from the bowl. My husband never liked potato salad, but he loves mine. And he’s not just trying to score brownie points either. It’s really a good recipe. Add potatoes to large pot and cover water. Season the water with 1 tablespoon salt. Bring to a boil over medium-high heat. Reduce to simmer, and cook, stirring occasionally, until potatoes are tender and easily pierced with a fork, about 15 minutes. Drain the potatoes and spread out on a sheet pan to cool. Meanwhile, bring a separate pot of water to a boil. Carefully add the eggs and cook for 14 minutes. Remove the eggs to a bowl of ice water to cool completely. Peel the eggs and chop. Combine the onion, bell pepper, mayonnaise, relish, mustard, 1 teaspoons salt and ¼ teaspoon pepper in a large bowl, Fold in the potatoes and eggs. Check the seasoning and add additional salt and pepper to taste. Garnish with a light sprinkle of paprika. Refrigerate at least 30 minutes before serving. 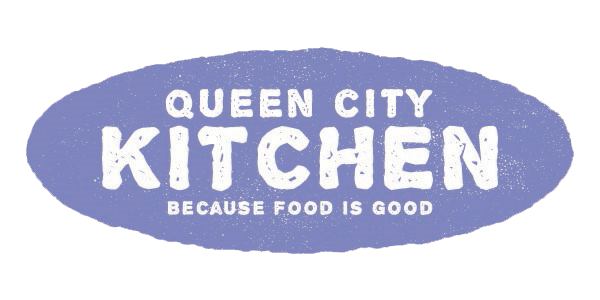 This entry was posted in Recipes, Salad, Side Dish, Vegetarian on May 28, 2017 by Andria Gaskins.